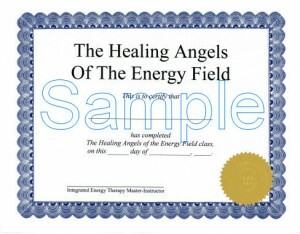 Healing Angels - You Can Learn IET! Description: We developed our “Healing Angels” class to support two groups of students: First, it is perfect for students who do not have any Integrated Energy Therapy® Training but who love angels and who would like to meet and work with the nine special angels of healing (Ariel, Raphael, Gabriel, Celestina, Faith, Cassiel, Daniel, Sarah, and Michael). Second, it is also ideal for IET students who want to learn to call upon the Healing Angels and add a special spiritual dimension to their sessions. You will learn the special healing gift that each angel brings and a special prayer of invitation to call upon the angel. Everyone from angel novice to expert can benefit from this class. Only IET Master-Instructors are authorized to teach this class. Class Methodology: This class is based on a powerful four step process that enables you to energetically connect with the Healing Angels and develop your personal relationship with each of them. In this class you will be led by your IET Master-Instructor through this four-step process to systematically focus on each of the Healing Angels. The group energy created in this class will enable you to connect much more powerfully with the Healing Angels than you can do alone. Even “psychic turnips” (those students who cannot feel, see, taste, smell, or sense energy in any way) often have powerful energetic awareness of the Healing Angels in this class. Class Length: 1-day (approx. 8 hours). This class is designed to be taught in one day, and typically runs from 9:30 AM to 5:30 PM; or as multiple Parts (covering one or two angels per Part), typically 1.5-2 hours per Part (also a total of approx 8 hrs). The actual length and times of class vary by individual Integrated Energy Therapy® Master-Instructor. Note that this class (or Parts) can be taught by Teleconference or Webinar. To see Healing Angels of the Energy Field classes that are currently scheduled, click HERE.